Maximize Our Customer's People, Operations & Profitabilty. ﻿Gas Equipment Company, Inc. (GEC) is the oldest warehouse distributor of in-process, transfer and control equipment operating in the U.S. Headquartered in Dallas, Texas, we got our start when Milt LaDue, a sales representative for Bastian-Blessing (now RegO), saw a need in the emerging propane industry. He determined propane marketers needed one source for all their equipment. So in 1937, Milt opened the first GEC branch in Dallas, Texas. Since then the propane industry has grown into a billion dollar industry and GEC has grown along with it. We now have eleven warehouse sales branches strategically located in a large geographic distribution network across the Central, Southern, and Eastern United States. We have also expanded in to the Industrial and Industrial Gas markets. And we have a presence on the web for online ordering. 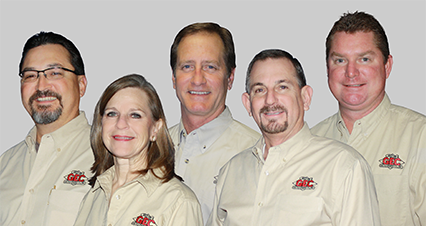 Gas Equipment Company continues to be family owned and operated with Skeeter LaDue, Milt’s grandson, as President. Our goal today, as it was over 75 years ago, is to provide our customers with the best products at competitive prices with the experience and knowledge to support them. Our greatest asset is our employees. Our employees from our accounting department to our warehouse to our sales offices, work as a team to be the top-of-mind source for all of your equipment needs.